During an unsuccessful experiment a small, unfortunate elf fell out of one of Knoxford the Sorcerer's many books. Her sole wish is to return into her book, but first she must go on many adventures. Enter the magical world of Knoxford the Sorcerer! 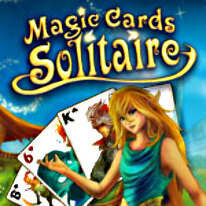 Play your way through many exciting levels of Solitaire and experience many adventures in this mystical world full of secrets. In order to master all the challenges you must collect hidden items. Find as many magical artifacts as you can which will be of great help during your journey, win valuable trophies and solve thrilling riddles!